Copycat Carrabba's Bread Dipping Oil is an irresistible mixture of herbs and spices that tastes JUST like the restaurant favorite! It should seriously be illegal for me to have this recipe in my possession. The whole "moderation is key" concept goes out the window. Because there was nothing moderate about the amount of bread I dipped in this oil and then ate. But it was so darn good I just couldn't stop myself. While I doubted it would taste as quite as good as the restaurant version, I made it anyway, hoping it would be better than other herb mixtures I had tried. I've bought the premixed little variety herb mixture canisters in the past and they were...eh, okay I suppose. And I've tried making my own concoctions of a little bit of this and a little bit of that, but I over analyze and and end up putting too much of one thing or another. I like recipes. I'm a recipe girl. Carrabba's herb mixture has always been a favorite of mine, so I figured there must be a copycat recipe out there that compares to the irresistible deliciousness that they serve. There were like a million and two, so I randomly picked one that I had all of the ingredients for. A few quick turns in the food processor and the herb and spice mixture was ready for some bread and oil. It was a spot on copycat of the restaurant favorite! Italian night just got way better! This recipe is seriously too easy not to try at home. You won't regret it! Combine all of the ingredients in your food processor and process until the herbs are chopped very fine. Scrape down the sides with a rubber spatula and process some more if necessary. 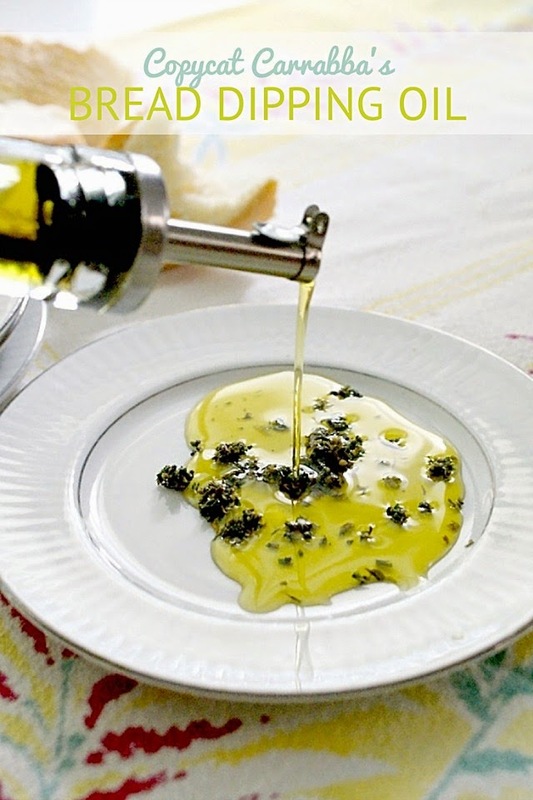 To serve, place 1 1/2 tsp of the herb mixture on a plate and drizzle with 3-4 tbsps of olive oil. Then you dip! Hey, I think you missed the oil in the recipe. But it looks fabulous!